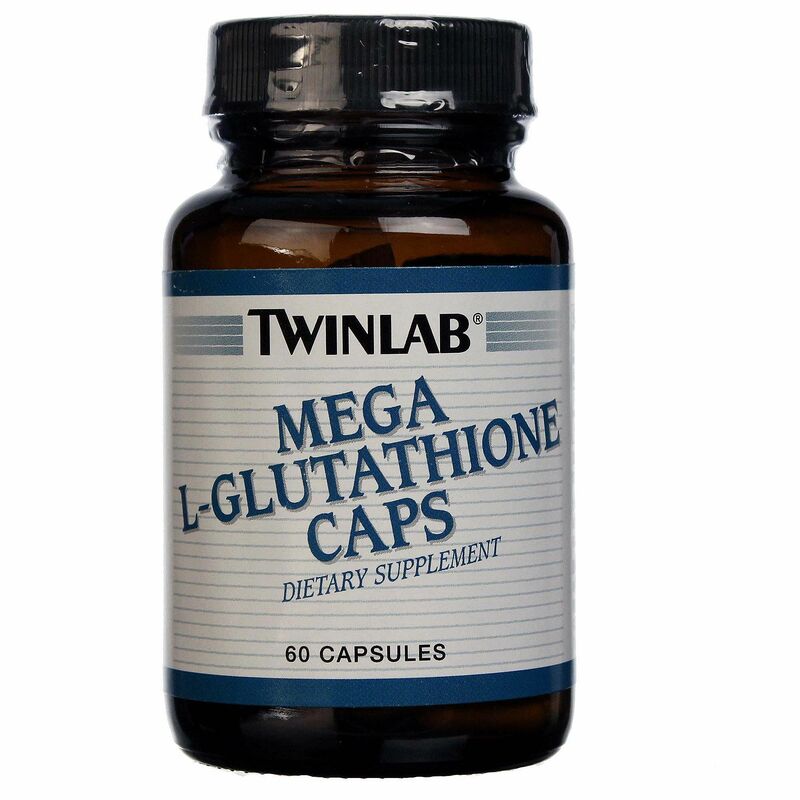 TwinLab MEGA L-GLUTATHIONE CAPS are easier to swallow and assimilate.Each capsule supplies 250 mg of pure, reduced L-Glutathione(gamma-L-Glutamyl-L-Cysteinyl-Glycine). 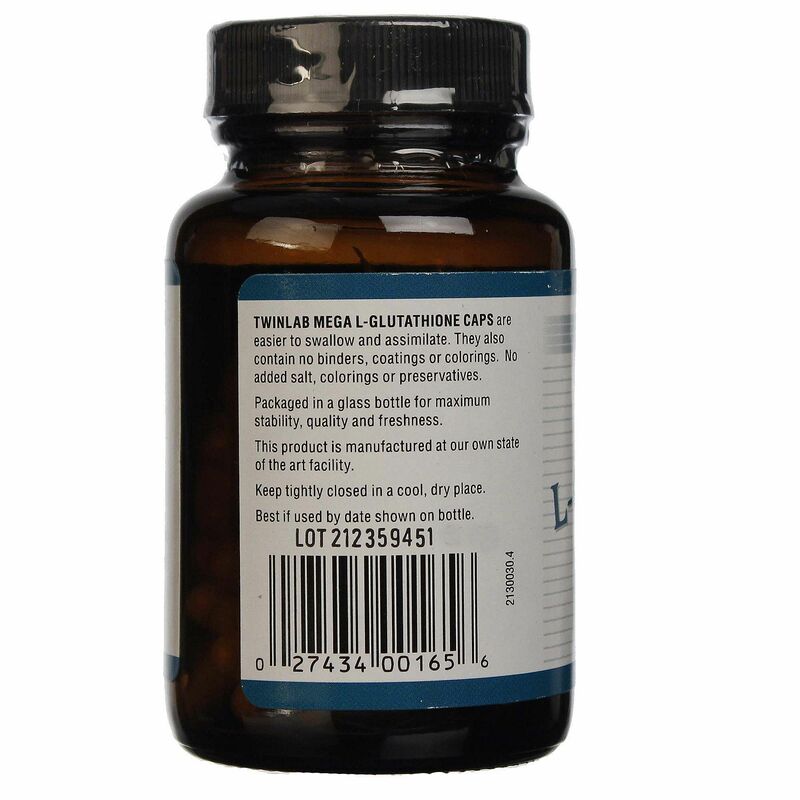 L-Glutathione is a biologically active sulfur amino acid tripeptide compound containing three amino acids: L-Cysteine,L-Glutamic Acid and Glycine. 주의: Keep out of the reach of children.Keep tightly closed in a cool,dry place. 참고: When taking L-cysteine,N-acetyl-cysteine,or glutathione,it is recommended that three times as much vitamin C should be taken at the same time to prevent these amino acids from being oxidized in the body.TwinLab MEGA L-GLUTATHIONE caps contain no binders, coatings or colorings.Free of the most common allergens such as corn,soy, yeast,rice,barley, wheat,lactose(milk sugar)and all milk,citrus,fish and egg products.No added sugars,salt,colorings or preservatives. 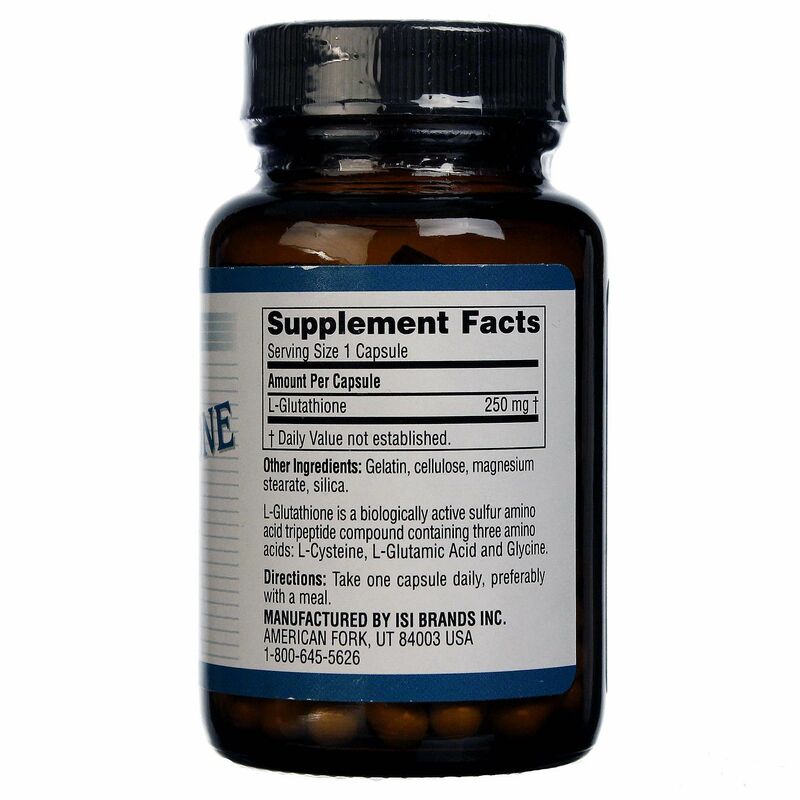 Packaged in a glass bottle for maximum stability,quality and freshness. 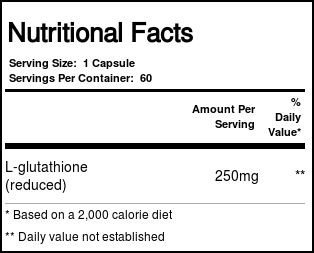 제품사용법: As a dietary supplement,take one capsule daily,preferably with a meal. 아래에 게시 된 고객 리뷰는 개별적인 소비자 경험을 기반으로하며 예상 결과가 Twinlab 메가 L-글루타티온 (60) 모자 을 사용하거나 복용했을 때의 결과를 나타내는 것은 아닙니다. 이러한 결과는 일반적이지 않을 수 있으며 반드시 동일한 결과를 얻을 것으로 기대하지 않아야합니다. 실제 결과는 다를 수 있습니다. 이 제품을 사용하여 큰 차이를 발견했습니다. 권하고 싶습니다.